Enjoy 15% off - and tidy in seconds! Stuffel help make that elusive combination of children and a tidy house a more realistic goal. 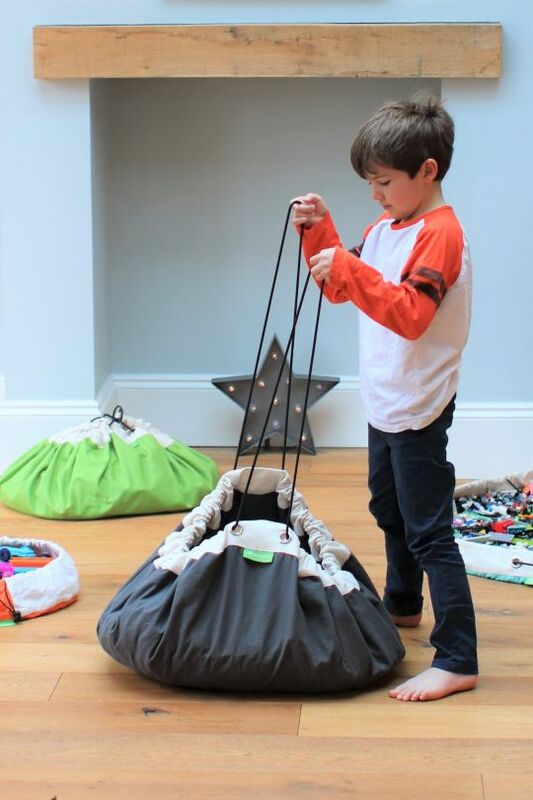 Stuffel bags open into wide playmats with a rim to keep toys contained, and pull up into a gorgeous drawstring sack for quick & easy storage. 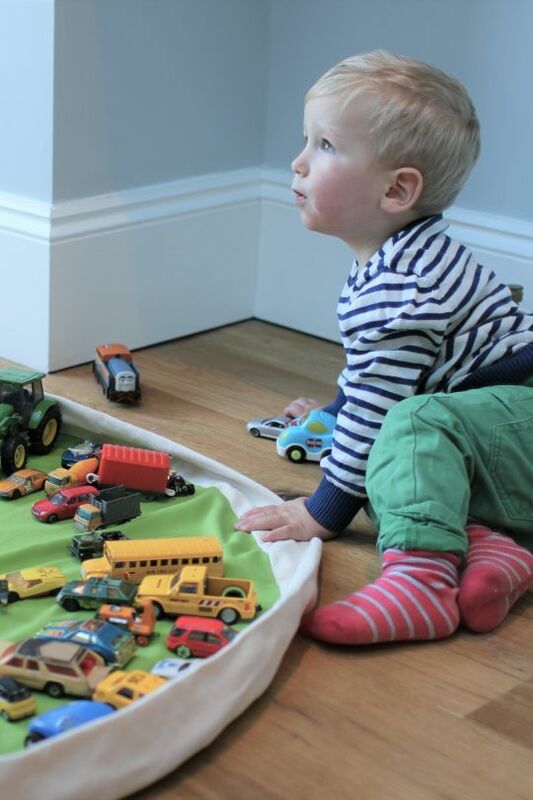 Available in a range of colours, they look great when spread on the floor or hanging up, making them a lovely, practical addition to a playroom, bedroom, or any space in the house, really. 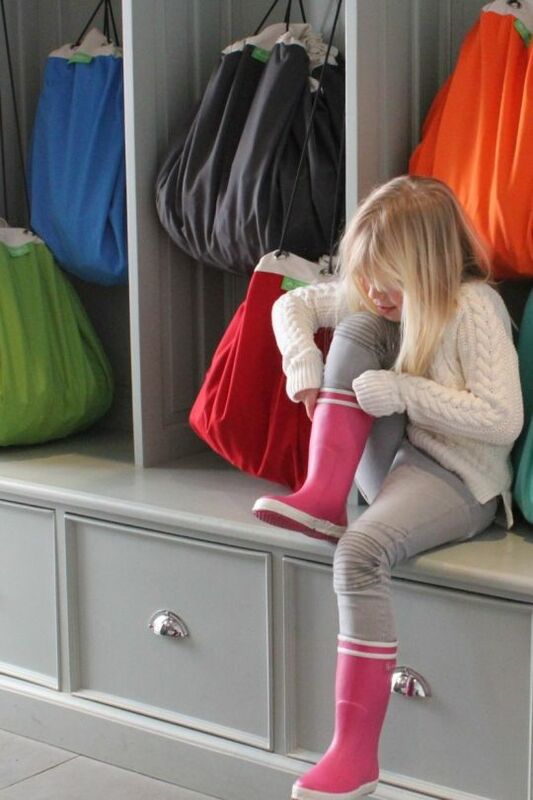 Lovingly made in the UK from 100% pure cotton canvas, Stuffel bags come in 8 fresh colours and 2 sizes. 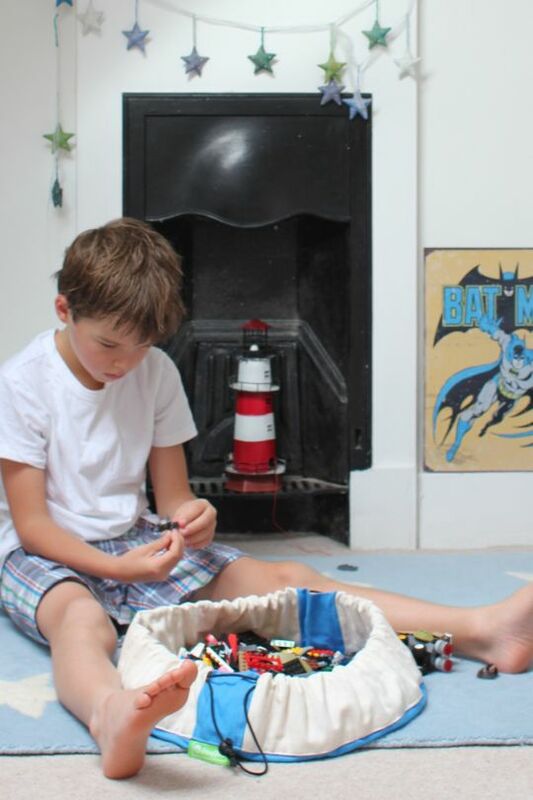 The large is perfect for storing an absolute ton of small toys or pieces, and allows space for multiple children to play together without sending lego flying across the room! 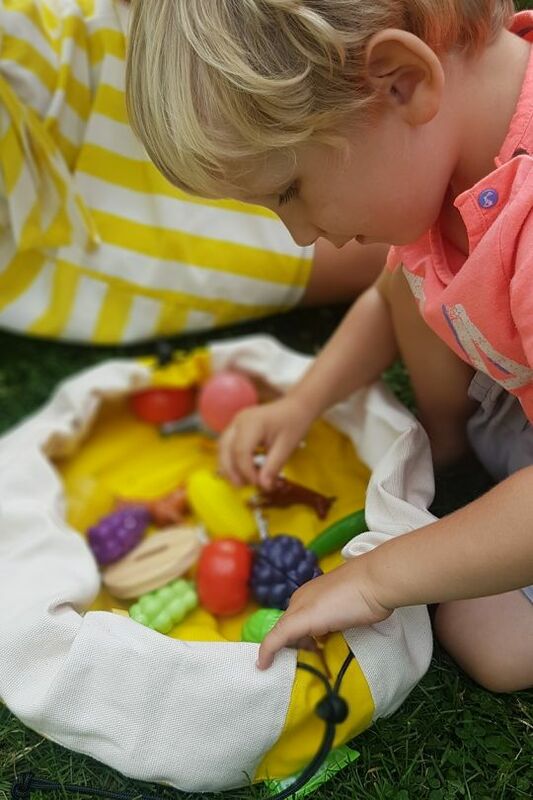 The smaller size is perfect for ‘on the go’, making taking funny shapes and those precious multiple small pieces places, something you can consider. With their practical application, it’s no surprise that Stuffel bags are brought to you by two mums. 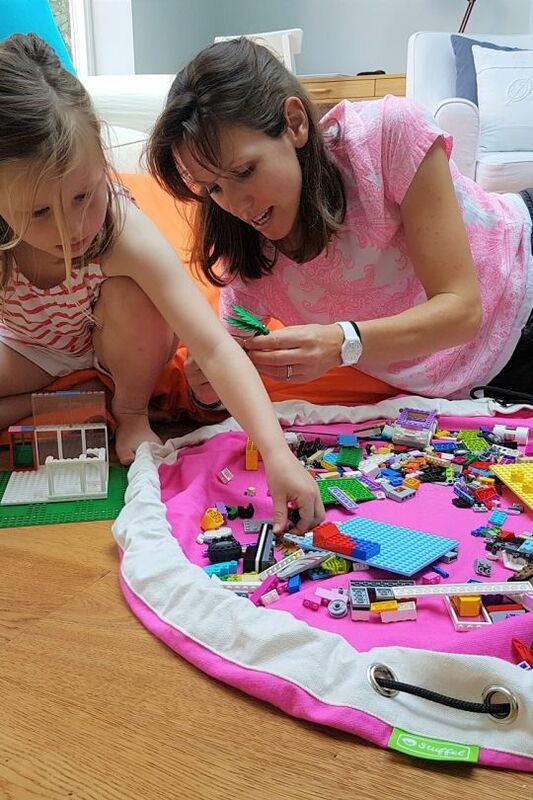 Sisters Suzie and Nicci recognise the importance of play, but with 8 children between them they certainly also understand the frustrations of tidying! 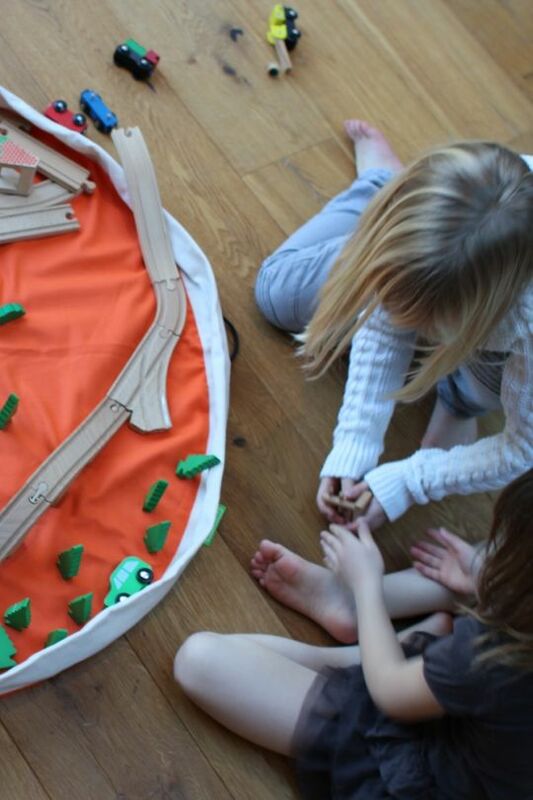 They found their daily grind improved immeasurably when they discovered a playmat/draw bag that had been marketed back in the 70s, and was now in need of a makeover. 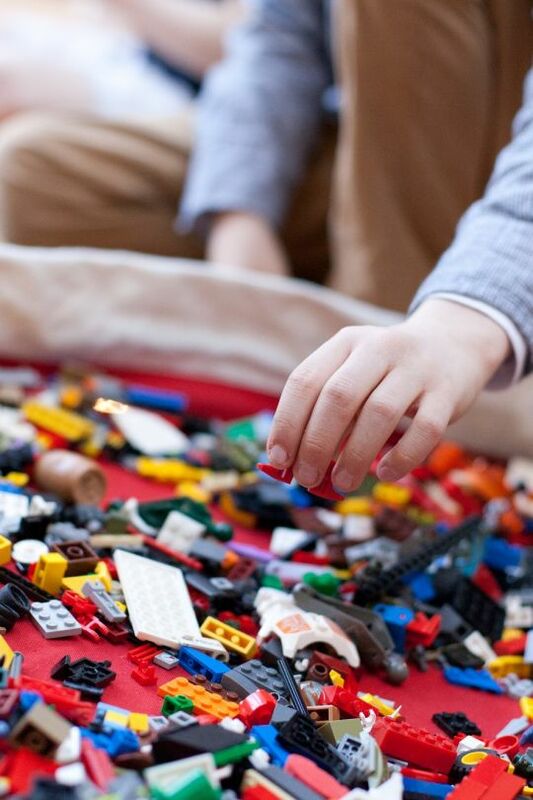 It encouraged their kids to play well together, for longer, as well as tidy up faster. A winning mix!